Still haven’t been to a Las Locas Comedy show? It’s 4:20 – we mean 4/20. Come on out and enjoy a hilarious evening of Latina/Latinx comedians – and our favorite honorary locas! What is Las Locas Comedy? 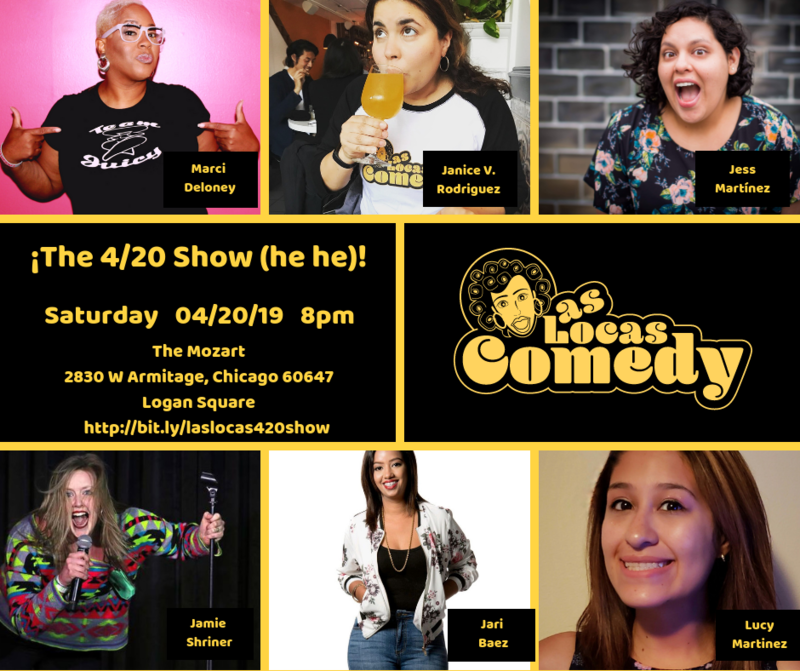 Las Locas Comedy is a Chicago comedy showcase that highlights Latina/Latinx comedic talent and honorary ‘locas’ per show. In this crazy political climate, we wanted to create a platform to discuss issues and challenges facing Latinas, women of color and the LGBTQIA community in a thought provoking (and hilarious!) way. We celebrate diversity and inclusion and aim to create a safe space where our performers can share their amazing talents with an open-minded and accepting audience. Three months into our run, we were selected as “Must-See” and “Recommended” by Red Eye and the Chicago Reader. Come see what Las Locas Comedy is about! Gracias! ¡Loca Madness! Was Amazing! 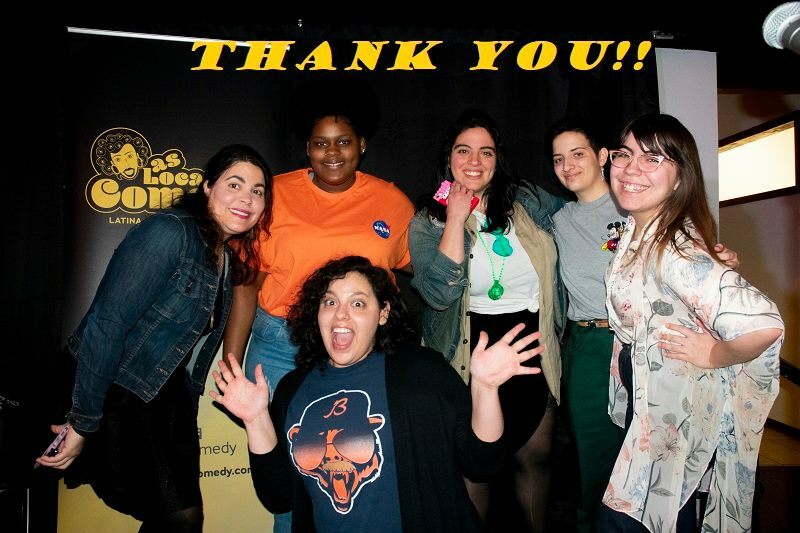 We’re still smiling from our amazingly hilarious February anniversary show! The room was PACKED and it was an EXTRA loca night of comedy and storytelling from your favorite Latina/Latinx comedians at The Mozart. A special thank you to our performers, guests and the The Mozart staff for making the event extra special! To all of our guests who have come to see our show again and brought someone new…or to our newcomers…we’re so happy to have you at the show! We couldn’t have done it without our LOCA performers. Please follow them on social media so you can see their next performance!